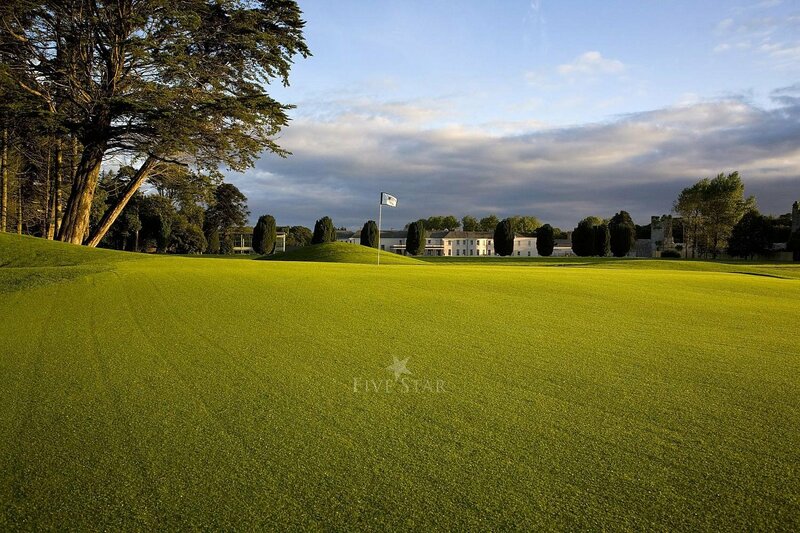 Five Star wedding venue Castlemartyr, County Cork, Ireland. 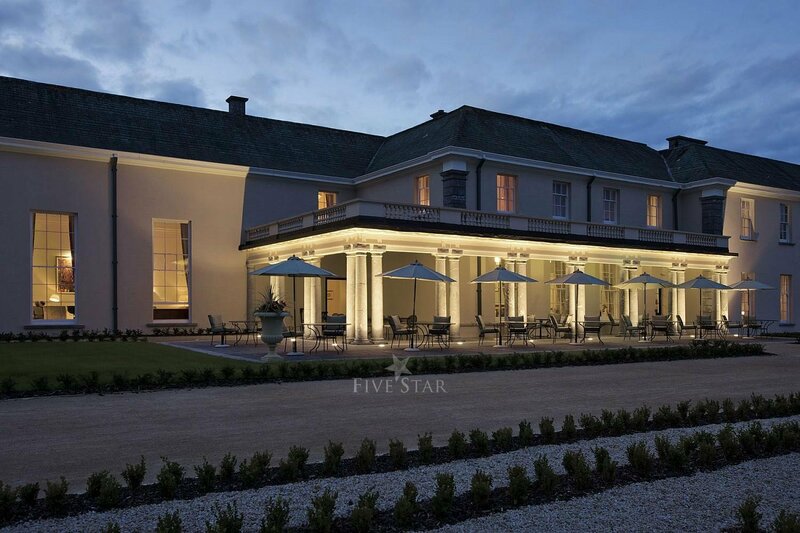 Five Star Castlemartyr Resort is a luxury wedding venue nestled on a 220 acre private es..
Five Star wedding venue Castlemartyr, County Cork, Ireland. 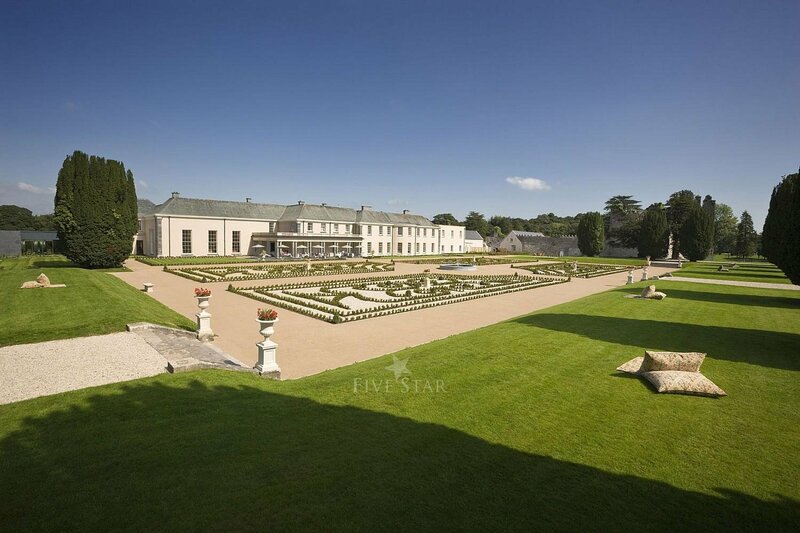 Five Star Castlemartyr Resort is a luxury wedding venue nestled on a 220 acre private estate in County Cork in Ireland. 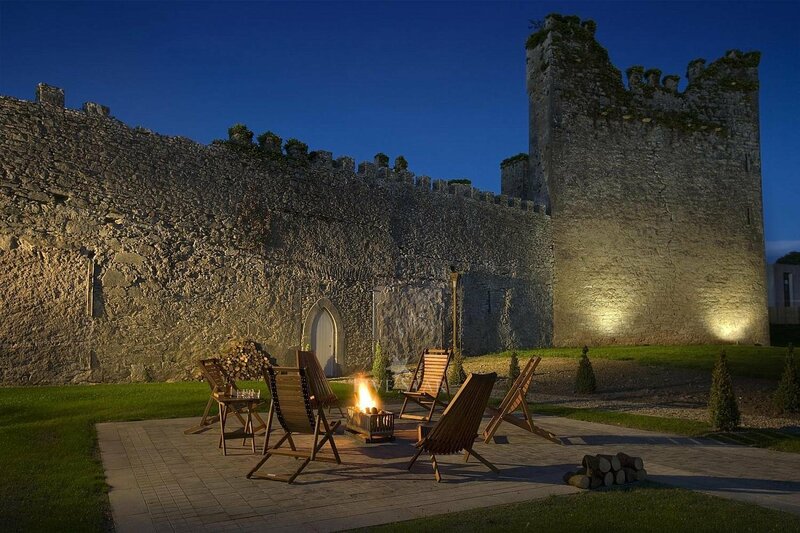 The 18th century manor house and 13th century castle ruins can create a unique back drop for any wedding celebration. 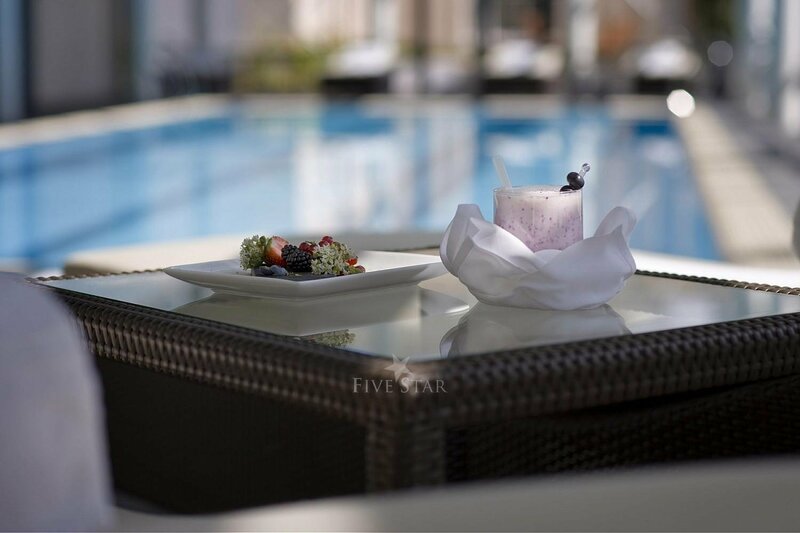 This Five Star venue features an award-winning restaurant, a spa, leisure Centre, and an 18 hole inland links-style Golf course. 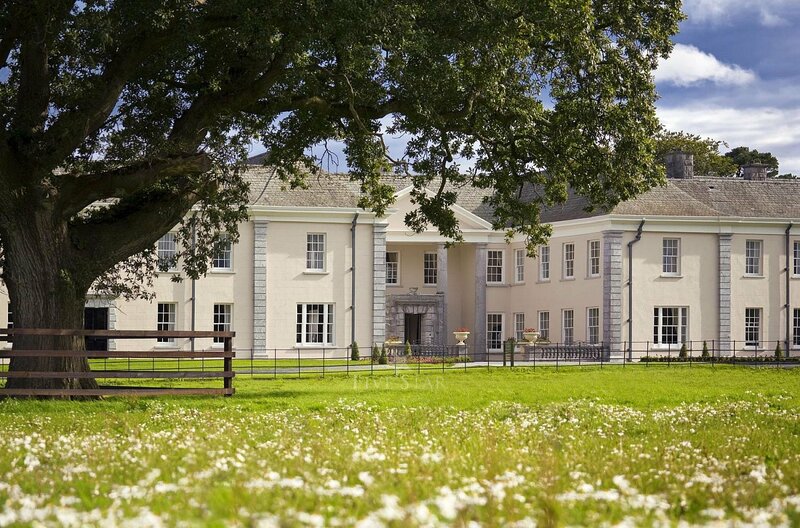 Castlemartyr Resort can cater for weddings of up to 220 in the Capel Suite Ballroom. Unlike any other ballroom in Ireland the Capel Suite boasts floor to ceiling windows, giant chandeliers, mood lighting and magnificent drapes. 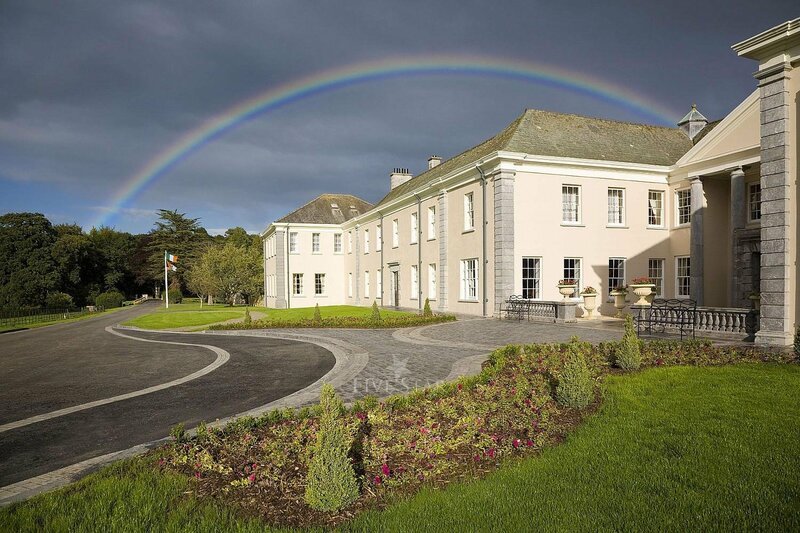 Castlemartyr Resort is an HSE registered venue for Civil Ceremonies. 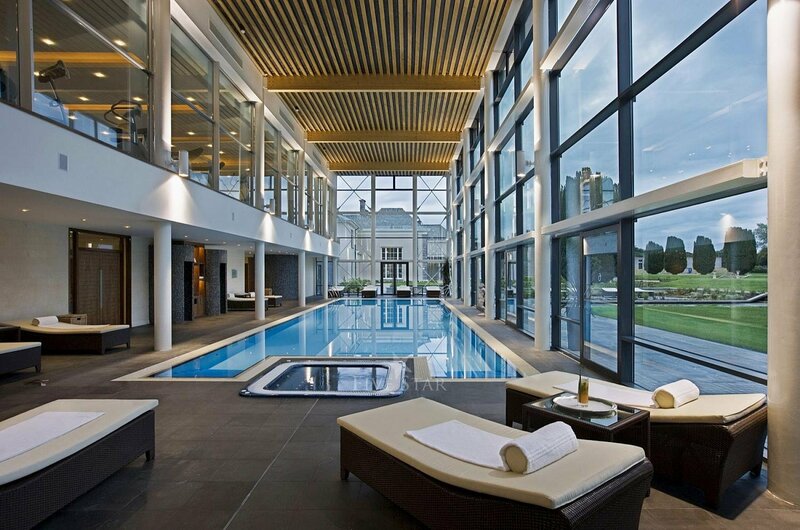 Thank you for sharing your stay experience at Castlemartyr, County Cork. We will publish it as soon as possible. 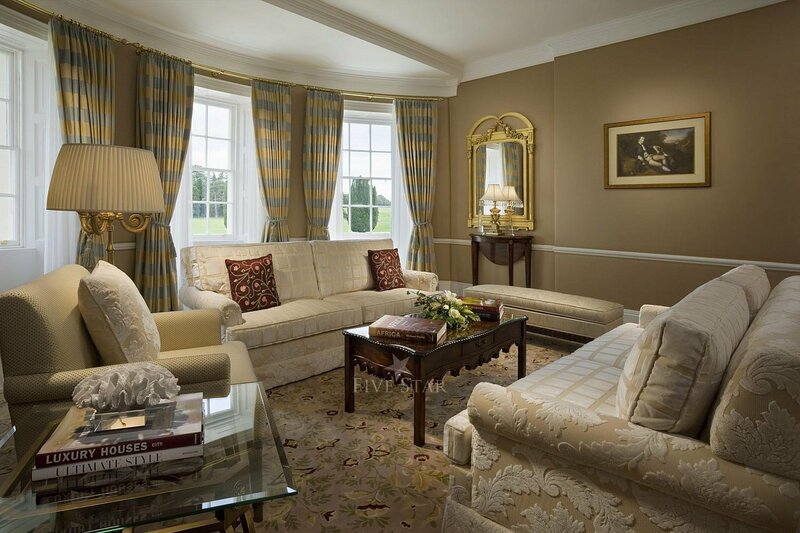 "A Stay at the CastleMartyr Resort" A most charming Irish family wedding brought me to the fabulous Co Cork setting of CastleMartyr. 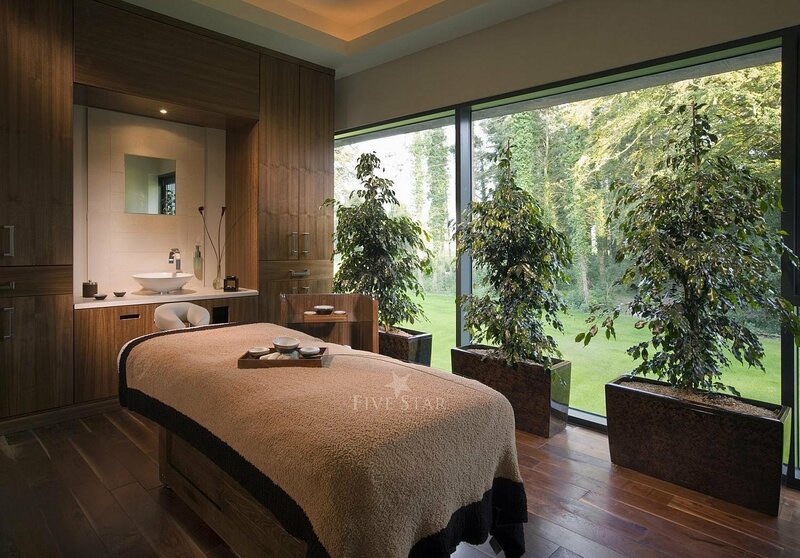 A Carmelite monastery originally, CastleMartyr is now a luxurious high class nature/golf/event host of the highest caliber. 3 sets of couples stayed in one of the cottages about 1/2 mile walk from the main hotel/resort. The grounds are Co Cork lush soil splendid. Horses graze in fields. 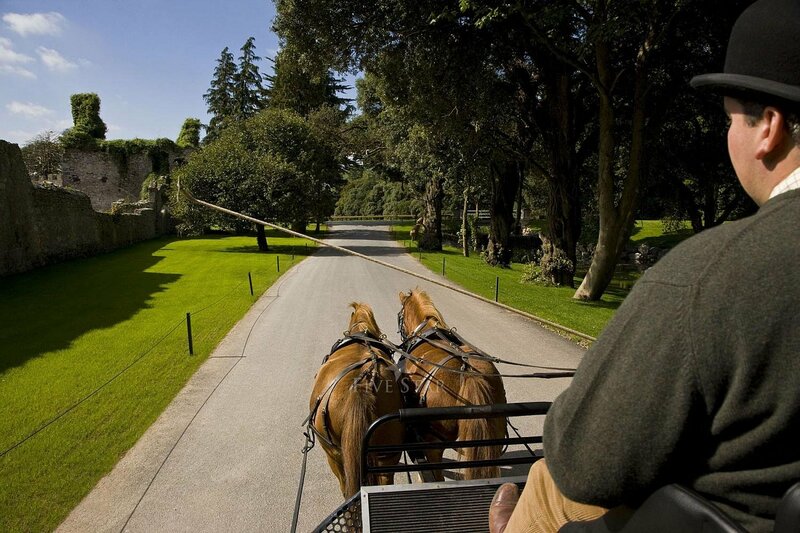 The Road to our luxurious cottage took us past an elegant golf course, stables and a deciduous forest. Subsequent walks along trails led by by forests with copses of wild garlic, wild flowers, lakes, streams. The walks and trails alone seem beloved by young Irish families eating picnics!! The cottages are new, spacious, all en suite, great beds, enormous and well equipped kitchen area, fridge, dish washer. The houses are warm. 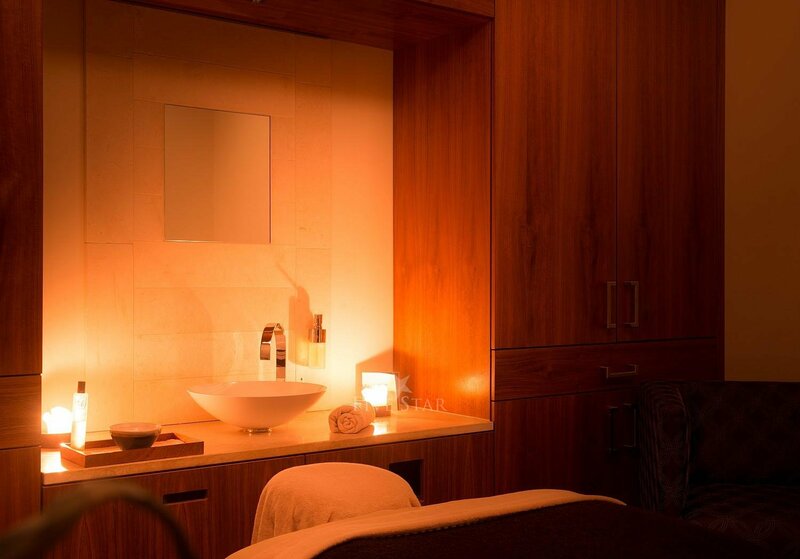 Bathrooms are modern and functionally excellent. Grouped together the cottages all have outdoor patios with furniture perfect for late night conversations and early morning cups. Being Irish, we all meandered next door for some great food! Other close family members stayed at the main resort house. 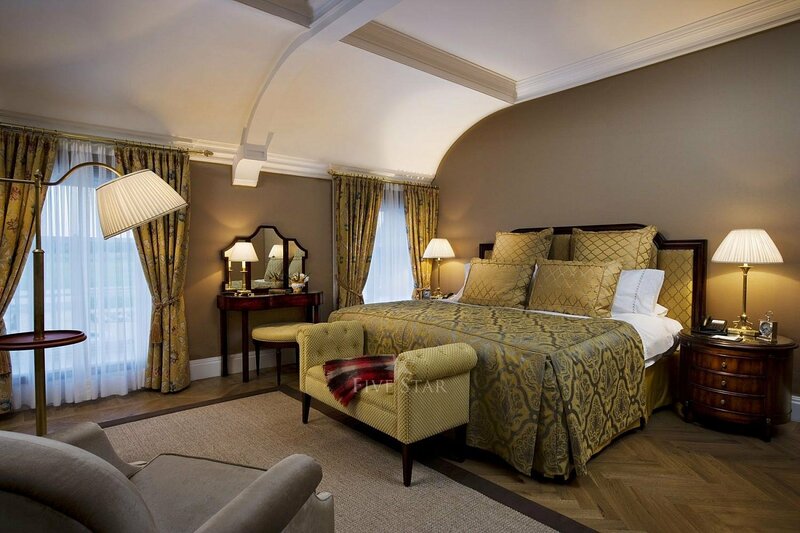 The room and bed can only be described as magnificent. Flawless, style, en suite all with openings onto patios, perfect for sunset or a morning cuppa! The wedding banquet food, event, dining and dancing went well into the wee hours in a spacious event room. Food was great! Breakfast following morning equally great! The hallways of the resort are bedecked with artwork, intriguing wooden animal sculptures. Each turn is a feast for the eyes. I am informed the swimming pool was very classy! 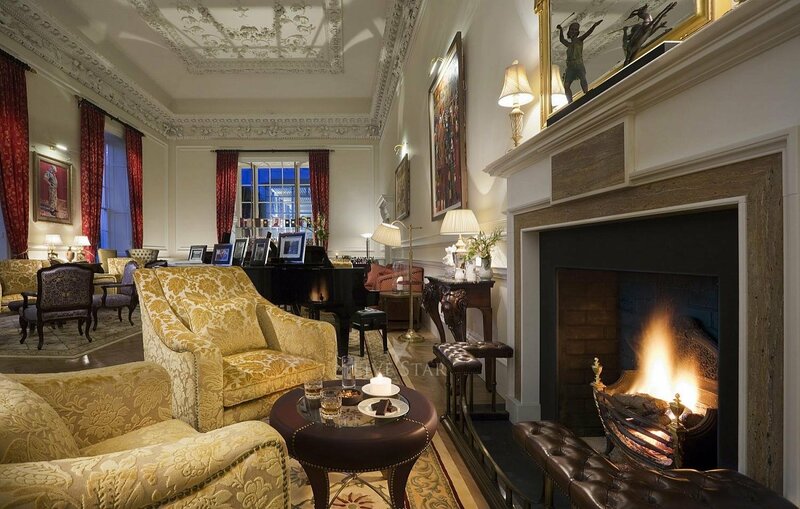 One uniquely elegant lounge area has a ceiling that must come from the Carmelite past. 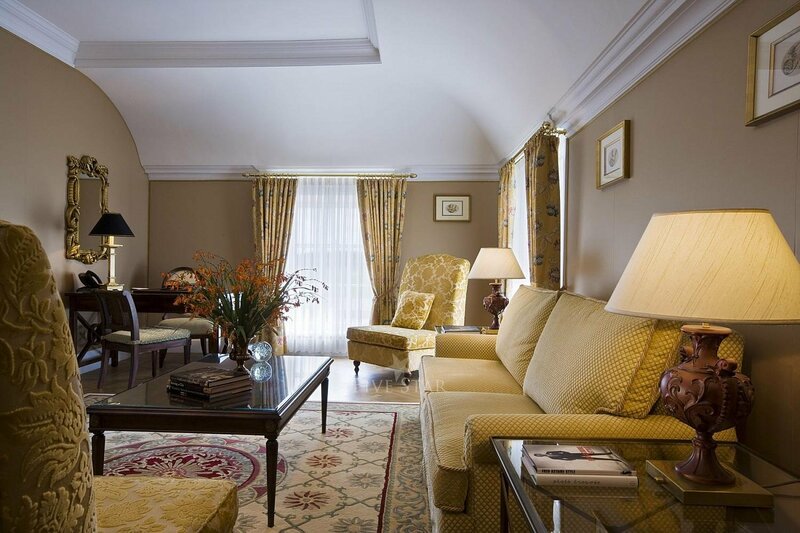 The moldings and sculpture work in the ceiling is a treasure in itself!! A modern and stunning golf club hosted one post wedding event. 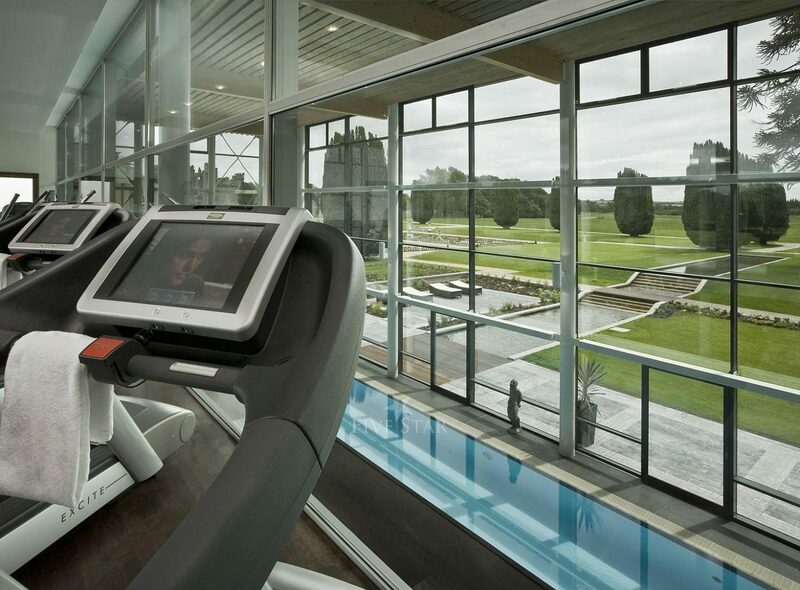 If you're a golfer, you would be well pleased! 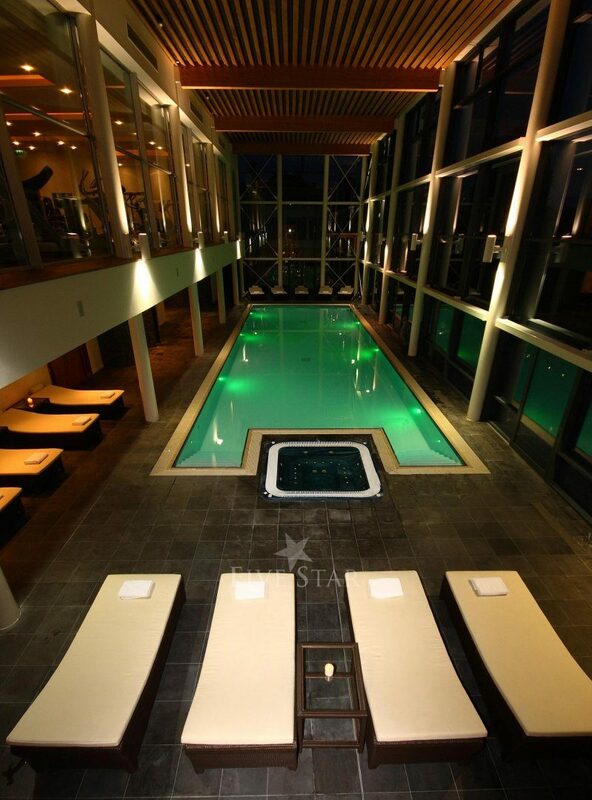 A welcoming, relaxing, fun experience in Co Cork! Highly, highly recommended. 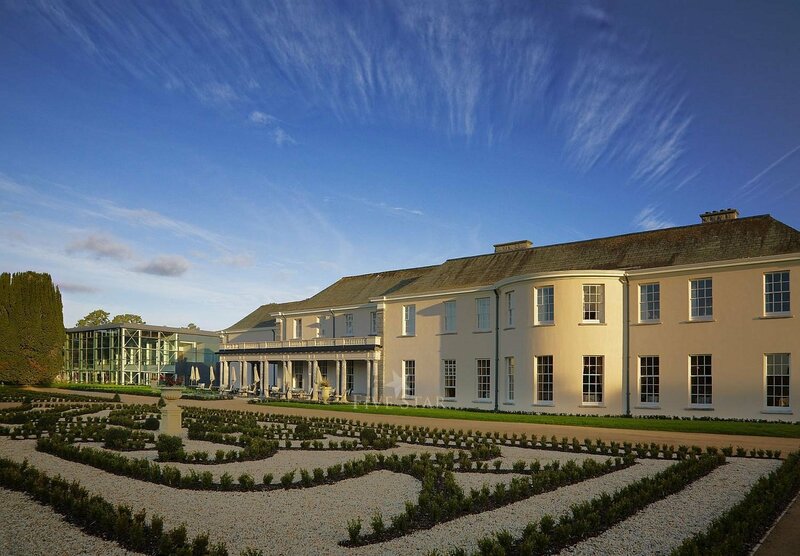 "Wedding" The Castlemartyr hotel is quite simply superb! 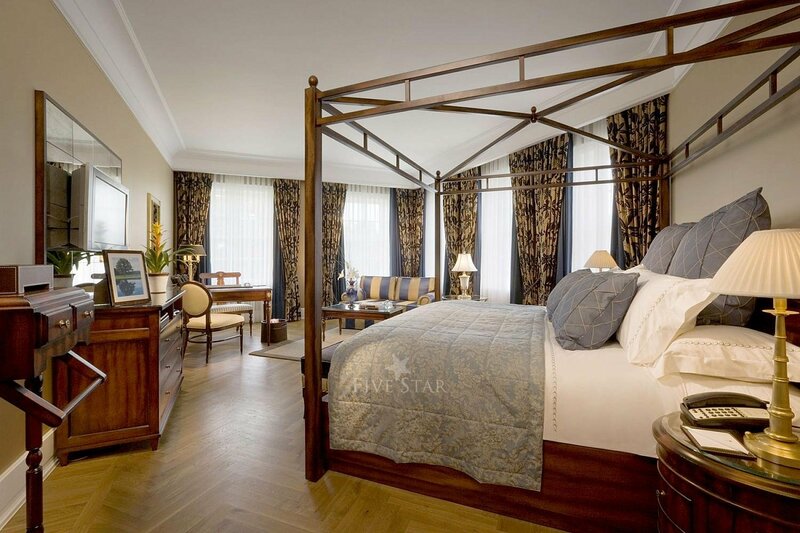 The hotel itself is truly five star and the staff would get seven if I could give it. Wonderful stay all around. The hotel room was huge, beds are top quality and quilts are so so soft. Bathroom was best I’ve ever seen with separate shower, toilet cubicle and bath and twin sinks. To be honest the staff made the stay. There was not a single request that was too much, always available and so courteous ...really made us feel like royalty. "Wedding/short break" We were invited to a friends wedding in Cork, Ireland and the reception was being held at Castlemartyr, so we booked to stay at the hotel for three nights. 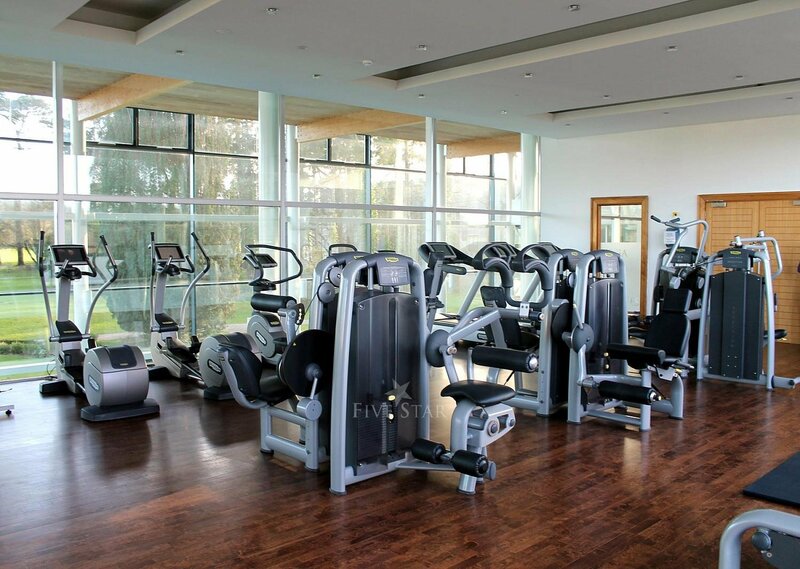 The hotel is located in East Cork which is about 20 minute drive from Cork Airport. The hotel is lovely, set in its own land with the remains of the Castle still standing. There is a lake and fields with horses and a very well kept golf course. 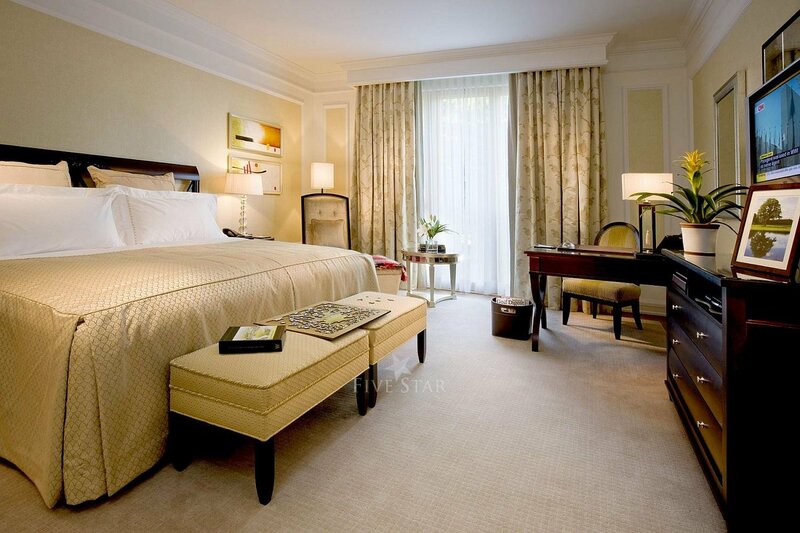 The hotel is clean and has everything you’d expect from a 5 star hotel, the service was excellent. The staff were very friendly and were always willing to assist. We were very fortunate with the weather and had clear blues sky’s for the fours days we were there. 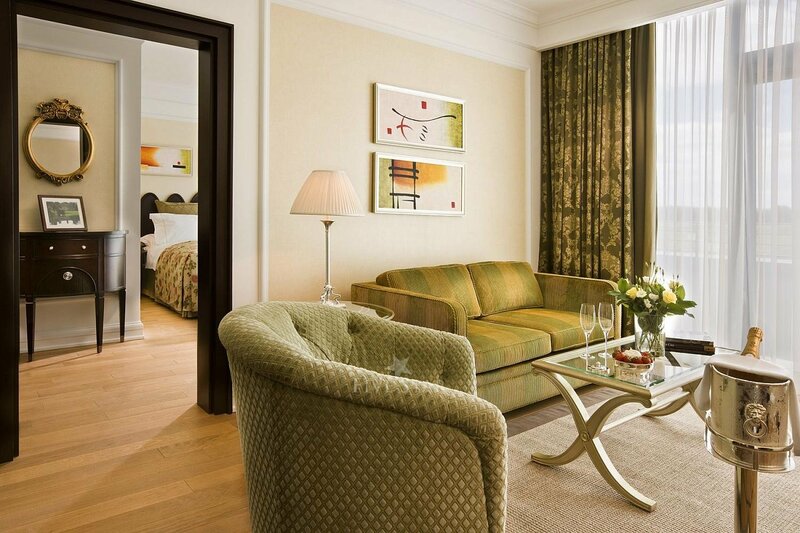 The rooms are clean and tidy with comfortable beds. My only criticism of the room was that the fridge was not working and the lighting system is a bit confusing. The lights are either all on or all off. But apart from that, lovely hotel with beautiful surroundings. The wedding reception was hosted very well and the service by the young staff was very good. The food was a very high standard. 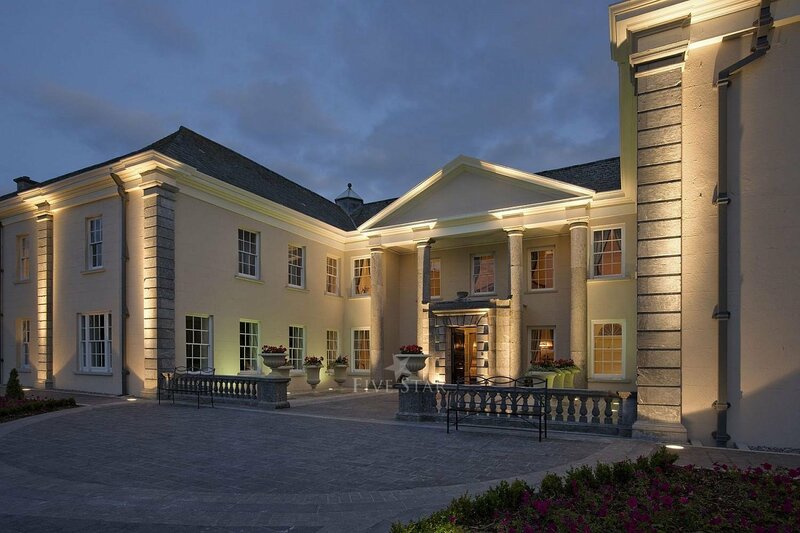 Highly recommend this hotel and not forgetting beautiful Ireland. I hope to return soon. 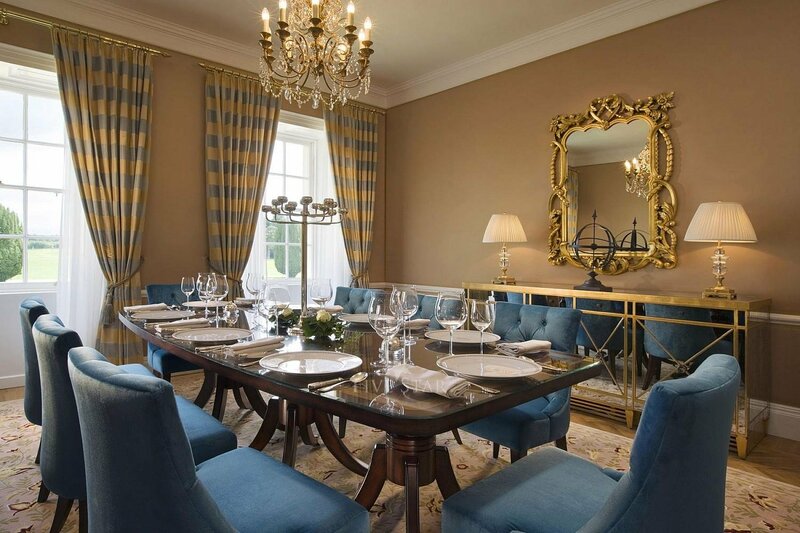 "A pure delight" A beautiful hotel and grounds with just the best appointed rooms. Our room was a king bedroom. With a separate dressing area and a very well laid out bathroom. The bathroom has a separate toilet area a separate walk in shower as well as a full bath area. We had a number of meals while we stayed there. Breakfast everyday. It is a lovely breakfast with great welcoming staff who are full of smiles and welcoming service. Very refreshing indeed. We eat dinner one evening at the Bell Tower. A very nice meal with delightful combinations of flavors. It is clearly a very vegetarian friendly menu also. We had a number of vegetarians staying in our party and they appreciated the menu giving them good choices. We also attended a large wedding party during our stay. This was delightful event from the drinks reception on the patio and bar to the meal itself in the Capel suite. They served such great food in a banquet setting. Each course was severed to all tables promptly but than you were allowed time to eat your food and chat and enjoy the wedding atmosphere between the various courses of the meal. It was beautifully laid out for the dancing later. It was for us a delightful experience staying at this hotel. "Wedding celebration" Magnificent from the moment we arrived. You have the most amazing, attentive, courteous, efficient, and friendly staff I have ever come across in a hotel. The food and service during the wedding (and indeed during our three night stay) was absolutely flawless. Breakfast was available until mid day following the wedding day (a brilliant concept) and it too was superb with needless to say top class service. 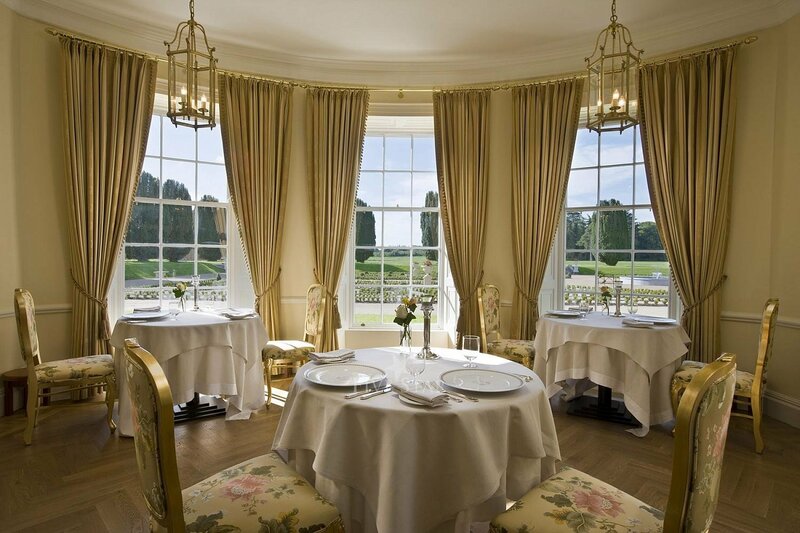 This was not my first visit to Castlemartyr and I am looking forward to visiting again in the coming months. Kudos to the team. "Wedding" We got married here in May and had an absolutely amazing experience right from the very beginning when we chose it as our wedding venue. Anytime we visited before our wedding day the staff were always extremely welcoming and helpful. Jackie was our wedding coordinator and we couldn't praise her enough. She was so attentive and helped us plan every fine detail. She always had such great suggestions and was available to answer any of our questions or liaise with the band or florist etc. On our wedding day Jackie and Kay really looked after us and all our guests and helped things run along very smoothly. We couldn't have done it without them. The manager and bar staff were all so friendly and very obliging. We had our second night in the golf club and everyone really enjoyed themselves. It was ideal for continuing the celebrations. The manager Daniel made sure that everyone was well looked after. All our guests were full of praise for the food and staff. I would highly recommend having your wedding here. "Dream Wedding" Attend the Castlemartyr Resort for a wedding at the week end and I have to say it was amazing! It looked like it had a bit of a refurb since I was there last. The ballroom for the reception was magnificent. The food was fabulous. I have dietary requirements and there was no fuss at all. I wasn't made to feel singled out at all! The staff were top notch, friendly, happy and so attentive. Will be gushing about this for days!